Our leadership in Harrisburg unites our more than 400 members as one body to express a strong, collective voice on key long-term care issues affecting more than 80,000 Pennsylvania seniors. 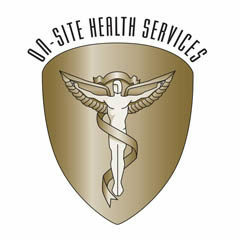 Our members, as well as partner organizations and government allies, value PHCA’s leadership for its influence, vigilance and professional relationships in Harrisburg. 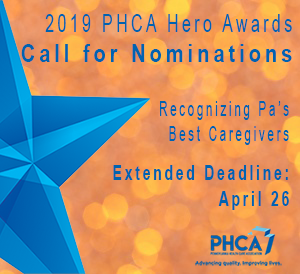 PHCA collaborates where possible, and challenges as needed, to ensure that issues impacting our members’ ability to provide high-quality care are addressed. As the commonwealth’s leading advocacy organization for senior care providers, we represent half of Pennsylvania’s skilled nursing facilities and two-thirds of the 15 largest assisted living and personal care providers in the state, which, in total, serve more than 50,000 people daily. 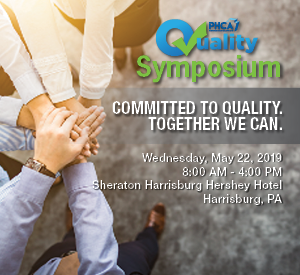 By building and preserving long-term relationships through our influence and credibility with leaders in government and business, PHCA is recognized as the most trusted and knowledgeable presence in Harrisburg on issues of reimbursement, quality of care and other long-term care concerns. You can get involved. Make a difference today, protect and defend quality skilled nursing, rehabilitative care and assisted living and personal care home services for seniors and people with disabilities. Check out our issues briefs page and learn about the issues impacting our industry.